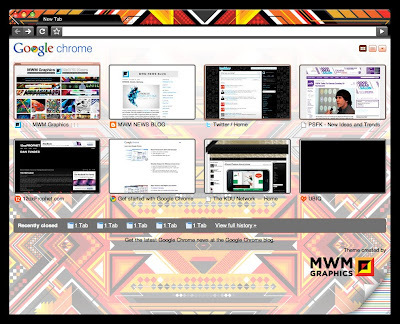 MWM NEWS BLOG: Google Chrome. Artist Series. Earlier this Summer, Google asked me to design a skin for their new Web Browser called GOOGLE CHROME. I'm very pleased with how it turned out. Honored to be in such good company! 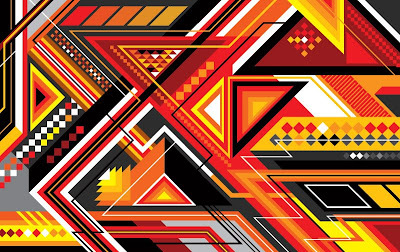 Featured Artists: Jeff Koons, Marc Ecko, Carla Zampatti, Matt W. Moore, James White, Chuck Anderson, Tiësto, Kid Robot, Michael Graves, and More. What is Google Chrome? Why should you use it? THE ANSWERS. It's all about having an "Incognito Window" in your "OmniBox". The Future is so rad. BTW, do you pull RSS Feeds to iGoogle yet? You really ought to. It's 2009. Time to step your cyber game up YO. Artwork is from MWM : 20/20 Exhibition. Barcelona, Spain (May 2008).